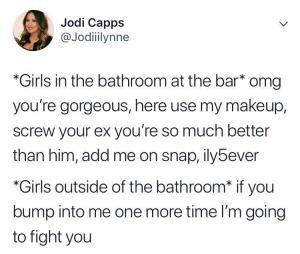 when you're at the bar and see yourself drunk in the bathroom. this is as good as it's gonna get. someone told her drinks were on the use. 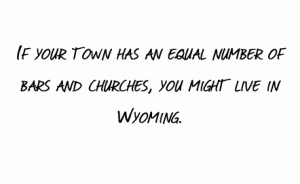 If your town has an equal number of bars and churches, you might live in Wyoming. 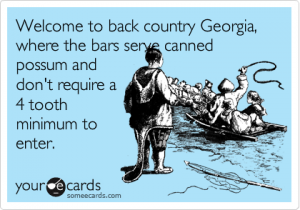 Welcome to back country Georgia, where the bars serve canned possum and don't require a 4 tooth minimum to enter. 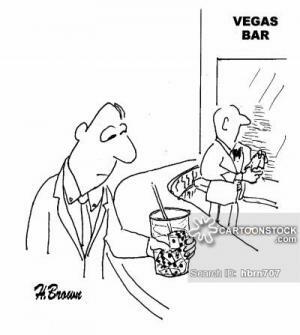 an englishman, an irishman and an australian walk into a bar, the barman says, "is this some kind of bloody joke?" 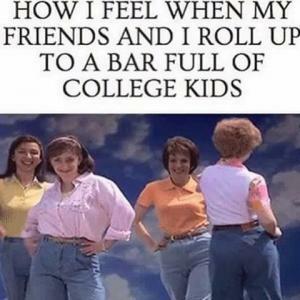 when there is a free bar! oh, the nights i've wasted there.